FIG provides a wide range of general and specialized ship supplies, equipment, tools and stores to owners, ship managers and offshore. 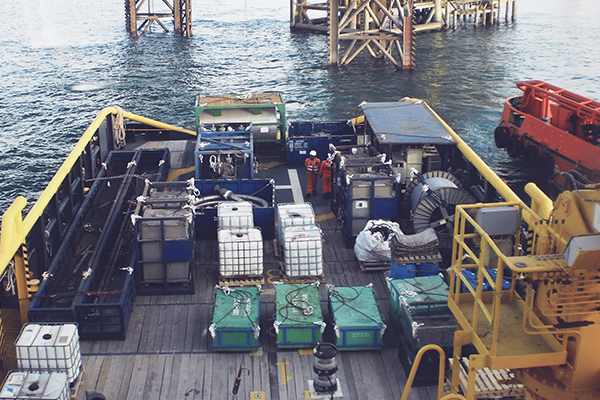 Our service sare available for Cargo Ships, Cruise Ships, Tankers, Chemical & Oil Vessels, Ferry Boats and Mega-Yachts. The group has a network of stockists and suppliers to provide all kind of ship stores with the best quality at very competitive prices. We are able to prepare and deliver supplies at short notice, taking into account the turnaround time of vessels visiting ports. We pride ourselves on being reliable and being able to cater to your specific needs by using our wide network of service partners in the region, in order to not only service you in the kingdom, but also provide supplies at other ports as well. We have built a highly skilled, motivated and fully trained team to assist and always welcome customer's feedback to help us continuously improving our services, therefore we diligently work to find ways to improve the business of our customers at sea. Our standard services includes delivery on short notices, 24/7 services and just in time delivery as well as professional, individual and personal service on site. It is of great importance to us to establish a long lasting customer relationship on a fair and solid basis.